I'm honored to be among PDN's 30 New and Emerging Photographers to Watch of 2015. Also announced was the inaugural Wallis Annenberg Prize, a partnership between The Annenberg Foundation and PDN that rewards a winner and four finalists with generous support, and I'm honored to be among the finalists. The Annenberg Space for Photography and PDN will present Emerging, an exhibit comprised of the 2015 PDN 30 photographers as well as more than 60 others from previous years. Emerging will be held June 6 - September 2015 at the Annenberg Space for Photography in LA. 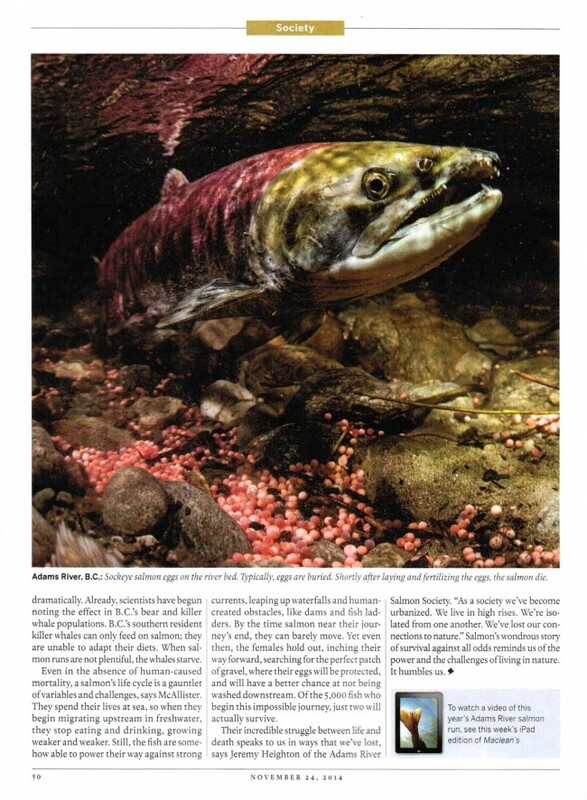 The Fraser River sockeye salmon story is out in the November 24th issue of Maclean's. National Geographic video on the snakes of Narcisse. Happy to say it's trending on You Tube with over 2.5 million views! Q&A with National Geographic on the largest gathering of snakes in the world. Maclean's edited this video on the snakes of Narcisse and a nice little behind-the-scenes piece. The Snakes of Narcisse story in the June 16th edition of Maclean's. 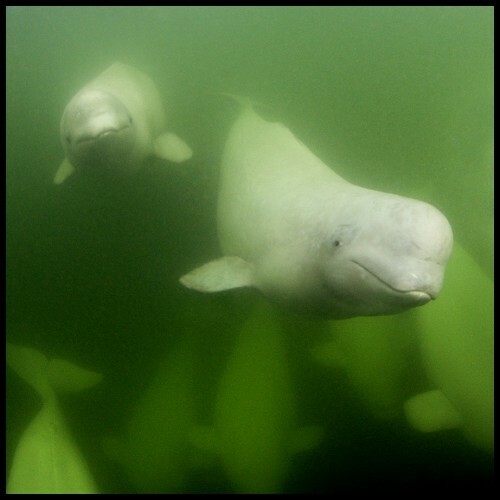 I love Canadian Geographic's interactive iPad edition--check out June's VanIsle 360 story. I spent two weeks hopping from boat to boat during this amazing race in the wild waters around Vancouver Island. Huge thanks to the crews for squeezing me into the already tight boats. So honoured to be included in The Magenta Foundation's special edition box set celebrating 10 years of this amazing organization. Honoured to be among the 25 best nature photographers to follow on Instagram by Mother Nature Network. Exhibit and presentation made possible by Patagonia and iLCP. On October 10th I'll be at WiLDspeak in Spain with the iLCP to present my work on Todagin Mountain. Big thank you to the team at Campus Magazine for the really nice profile piece, which you can read here. 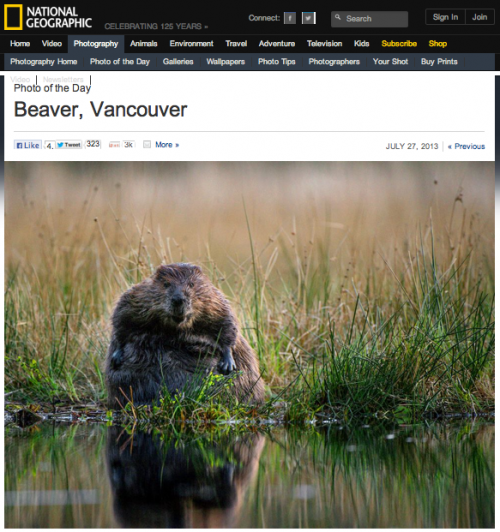 Today's National Geographic Photo of the Day is from my recent assignment on the beavers of Stanley Park. Beautiful beaches, beautiful people, and close to home. Shooting the cover for British Columbia Magazine's Best of Vancouver Beaches story wasn't a bad way to start the summer.